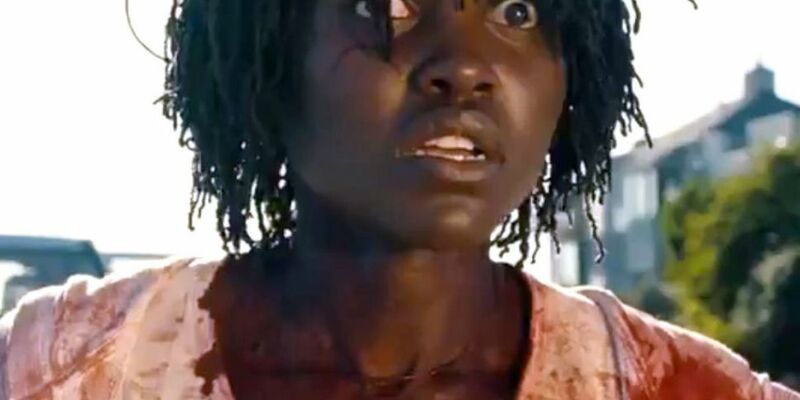 Esther McCarthy reviews Jordan Peele's "Us" and "The White Crow"
WRITER/DIRECTOR Jordan Peele scored a bona fide hit with Get Out, the darkly funny horror that looked at race relations from a unique and clever viewpoint. Peele has upped the ante with this bloodcurdling thriller. Violent, graphic and suspenseful, I’m not easily spooked by my movies but US absolutely delivers on the fright front. And while it wobbles as it approaches resolution, it’s a well-crafted and effective follow up from Peele. We’ll keep the plot surprises to ourselves, but suffice to say the film is built on the concept of people confronting - and attempting to overpower - their doppelgängers. Troubled by a traumatic from her own past, which unfolds in the beginning of the film and impacts on her to this day, Adelaide (Lupita Nyong’o) has nevertheless built up a solid marriage to Gabe (Winston Duke) and raised two kids, Zora and Josh. The Wilsons are looking forward to some downtime at their beach-house holiday home, but a series of apparent coincidences have left Adelaide anxious. And when a silhouette of four figures appear at the driveway, she becomes fearful despite the dismissals of her husband. The family has every reason to be terrified. The visitors are doppelgängers of each of them - and are determined to claim the lives they believe have been stolen from them. What emerges is a gruesome and clever thriller. RUDOLPH Nureyev was already a superstar in his native Russia when he arrived in Paris with the Kirov ballet in 1961. But his lack of interest in his government’s strict tour rules, including being accompanied by chaperones at all times and not mingling with ‘western intellectuals’ put him on the radar of authorities. It was the height of the Cold War between the USSR and the West, and just months before the Berlin Wall was built, and the authorities were determined to control their star. Ralph Fiennes directs this excellent, old-school movie which manages to reenact historical events but also inject them with real drama and tension. Told in a mix of English and Russian, The White Crow focuses on the early years of the dancer regarded as one of the greatest ever, and the reasons and motivations behind his defection to the west. Real-life ballet dancer Oleg Ivenko is terrific as the charismatic but difficult Nureyev, and his performance is all the more impressive when you realise he’s never acted before and had to learn English prior to filming.